Working for yourself or starting a business can be a terrifying idea. The risks, commitment, sacrifices and sheer determination involved could be enough to turn away even the strongest of Entrepreneurs. 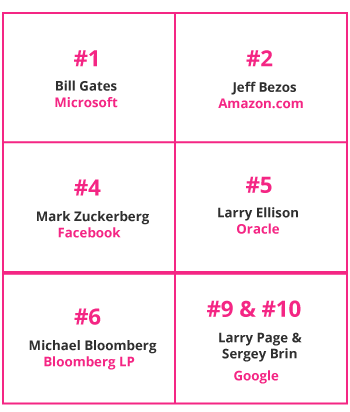 Out of the top ten people on last year’s Forbes 400 list, seven of them founded and built the businesses that made them as successful and wealthy as they are today.1 This is where starting a business could take you. The first step to achieving growth as an Entrepreneur is having a unique business concept, but that’s just the start. In order to realise the potential of your startup idea, you’ll need to be able to build an effective, efficient business around you, meaning you need to be a Project Manager, strategist, people manager and business analyst all in one. 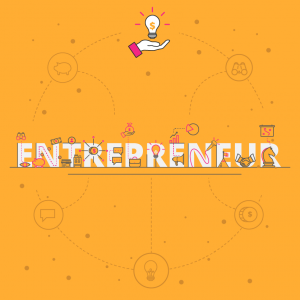 What are the key responsibilities of an Entrepreneur? In order to ensure your startup succeeds, you’d need to be confident in your ability to deal with the responsibilities that entrepreneurship requires of you. Your skills and tools would need to evolve to serve your market niche and help you develop a sustainable business plan to fill your gap. One of the key skills that Pure Good Food owner, Shannon Smuts, identified early on in her career journey was the need to understand her business’s finances and not outsource the responsibility to a third party. By learning skills like cost and management accounting, you’ll be able to understand which future ventures are profitable, which opportunities should be turned down, and what you need to consider to ensure sustainability in starting a business. For the owner of The Lot and Third Eye Wear, Ashleigh Battle, the solution to stay ahead in the competitive retail and property industry was to study the University of Cape Town Property Development and Investment online short course. By focusing on developing your property expertise, you’ll be able to make decisions on potential business investment opportunities, learn to effectively conduct property management, and set yourself apart as a property entrepreneur. What is the career path of an Entrepreneur? When pursuing a career in entrepreneurship, you have the ability to choose your own career path. You could be both the founder and CEO of your company, such as Bill Gates of Microsoft. You could choose to start a business and then find a CEO to run it for you, like Travis Kalanick and Garrett Camp did in the early days of Uber. 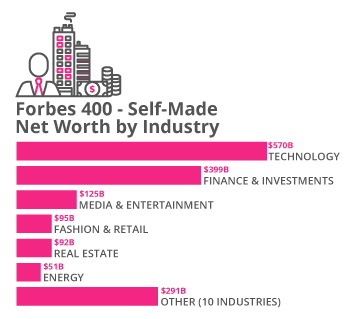 You could also follow in the footsteps of Forbes 400 #3, Warren Buffett, and fund multiple startups with other investors, acting as stakeholders in those companies while their values grow. The question is: which is the best industry to start a business in? What is the potential salary for an Entrepreneur? No two entrepreneurs experience the same business process, meaning no two entrepreneurs have comparable salaries. Your salary is entirely up to the decisions you make and how well your startup performs. To figure out what you should be paying yourself, you need to look at your business’s revenue and your personal needs and make a decision about what you deserve to get paid. Make use of pay information sites like Salary, Glassdoor and Payscale to compare your pay to people in similar positions and locations to ensure you pay yourself what you deserve. If the business can’t afford to pay you after deducting operating costs, hold off on your salary but consider marking it as a debt the company owes you, to be paid in the future. What are the education and training requirements for an Entrepreneur? Depending on the industry you wish to enter into or the type of product you wish to offer, you could require anything from a college certificate or a Bachelor’s Degree to a Doctorate and multiple certifications. 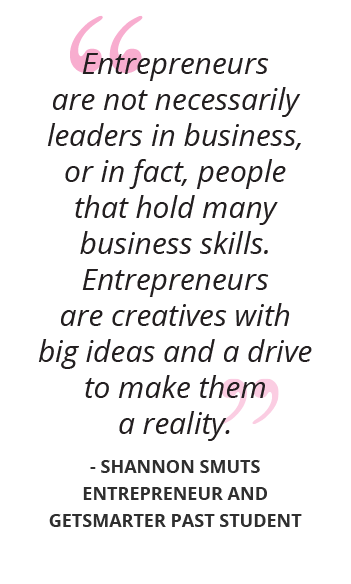 This is why Entrepreneur, Shannon Smuts believes online business courses are the best option for Entrepreneurs looking to achieve real-time business goals. 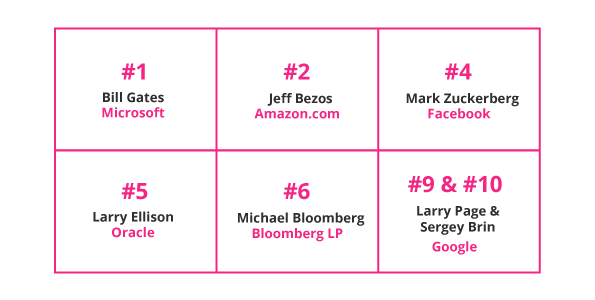 Jeff Bezos held a Bachelor of Science from Princeton when he started Amazon.com, while Bill Gates didn’t even finish his studies at Harvard before dropping out in his second year to start Microsoft. Download a course prospectus to find out how one of these online short courses can help you become an Entrepreneur.